Faxzero lets you fax two three-page documents per day for free. Fill out the "Sender Information" and the "Receiver Information." Type what you want to fax into the big white space in the grey "Fax Information" box. Copy the confirmation code, and then hit the button on the bottom left that says "Send Free Fax Now." Alternatively, you can fax a document that you have on your computer by uploading it to Faxzero. Instead of typing in the big white space in the grey "Fax Information" box, click on the "Browse" button next to the small white space in the grey "Fax Information" box. Find the file on your computer and then click on "Open" at the bottom right of the little pop-up window. As of September 1, 2010, there is not a single website that lets you both send and receive faxes for free. Faxaway lets you receive free faxes without a fax machine. Your faxes come by email. You can give them your phone email or your computer email; it’s your choice. You get your own fax number that is tied only to your email. If you pay $1 monthly plus actual transmission charges, then you can send faxes through Faxaway, too. They charge a deposit of $10 with a credit card or $100 by check or money order. MyFax offers a free 30-day trial to send and receive faxes online. After the 30 days they charge a flat $10 per month. You get your own fax number that delivers your faxes straight to your email. 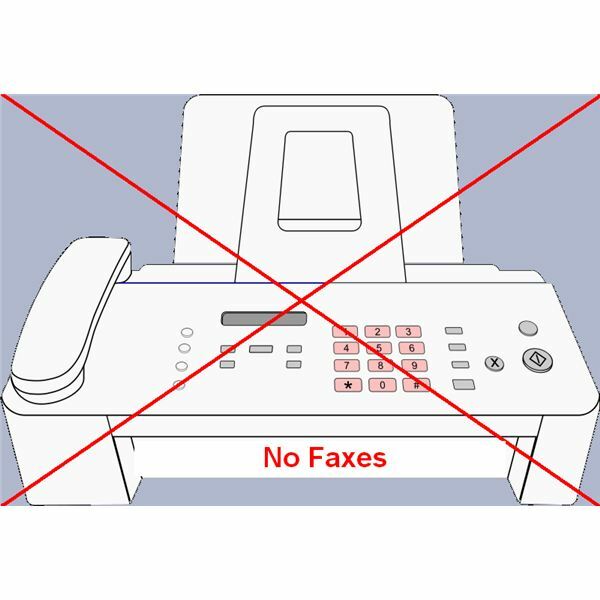 You send faxes by emailing them as attachments to the recipient’s fax number @myfax.com. A document scanner is a device that lets you get documents onto your computer. The best scanners have flat glass beds where you lay your documents and then close the lid, kind of like copiers. Document scanners use the same technology as copy machines to digitize your document and store it as a file on your computer. Scanners are small enough now to take with you in your computer bag, and certainly to leave on your desktop. For more information, see John Garger’s article, The Top 5 Portable Scanners: A Buyer’s Guide, here at Bright Hub. A document scanner will do the best job of getting documents onto the computer. In a pinch, you can take a picture of the document you want to fax–with a digital camera or even the camera on your phone. The tricky part for many people is transferring the photos from your camera onto the computer so that you can fax them online. Each camera is different. Some have USB cords that plug into your computer. Others have removable storage cards that fit into your computer. Check the hardware and instructions that came with your camera. If your cell phone has email access, then you can email the picture to your computer. Bright Hub can help you transfer pictures from BlackBerry Pearl to PC.